Max Mara's black silk Alfeo blouse balances considered details with a fluid composition. 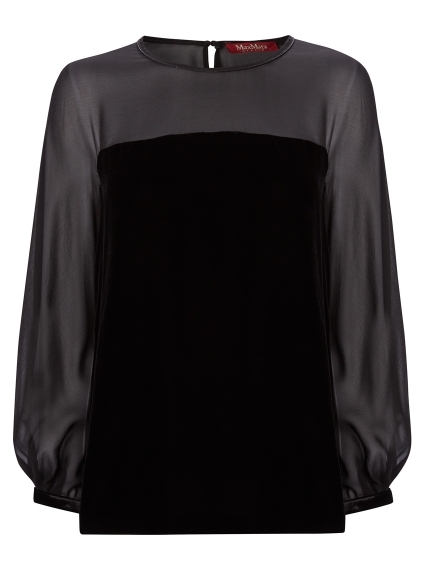 It's crafted for a relaxed fit with long sheer sleeves and a velvet body. Pair it with a pair of smart black trousers or try tucking into an A-lined midi skirt for a mid-week meeting.